I don’t know about you, but I always seems to have the ingredients to make Shepherd’s Pie on hand. 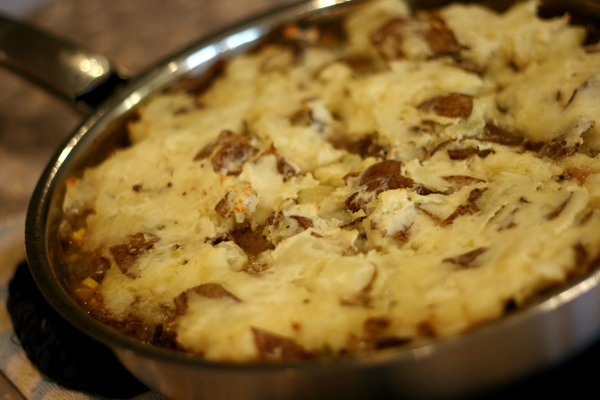 This Skillet Shepherd’s Pie is great because most of the cooking is done right in the skillet and even browns up in the oven in the skillet. So, make sure you are using an oven-safe skillet for this meal. 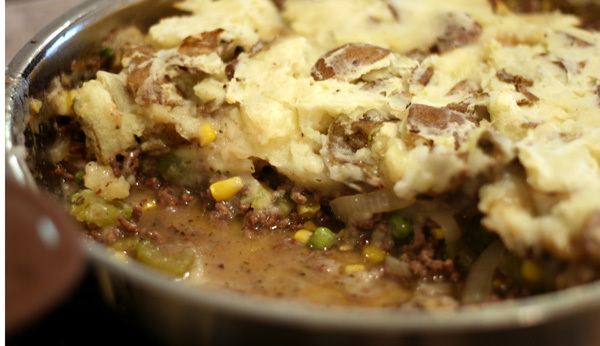 Skillet Shepherd’s Pie is a wonderfully comforting dinner that will warm you on the cold days ahead of us. Add the potatoes to a large pot of water. Bring to a boil, reduce and simmer until very soft, about 20 minutes. Drain and return to pot. Mash with butter and enough milk to make them smooth. Season with salt and pepper to taste. While the potatoes are cooking, brown the beef in a large oven-safe skillet over medium/high heat. 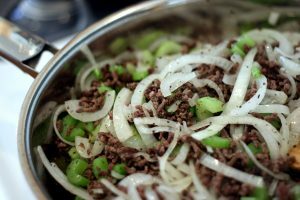 Add onion, celery, and garlic. Cook until soft and season with salt, pepper and Italian Seasoning. Push all the veggies to the sides of the pan. Melt the butter in the center of the pan. Sprinkle flour on the melted butter and whisk to combine. Whisk in the stock then stir to combine. Let bubble for a couple minutes to thicken. Add peas and corn. Top with mashed potatoes. Transfer to preheated oven until the mashed potatoes are browned, about 20 minutes.